What motivates you to go to the dentist? | The Dental Co.
For some of our patients it’s the health factor – preventing disease and maintaining their oral health. For others, it’s having bright beautiful smile! Whilst we would never let go of the important motivating factors being optimal health and the longevity of healthy smiles, one of our patients recently shared with us what stimulates their visits to the dentist, and what helps them to maintain a great home care routine. Bad breath. The medical term for bad breath is Halitosis. After investigating the causes of bad breath, at times it is related to an issue further down the digestive tract. For causes stemming from the oral cavity, the dental team is the right help for overcoming bad breath. 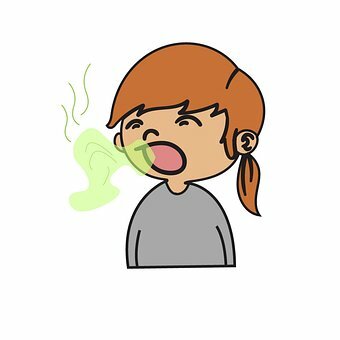 How can bad breath be prevented, treated and managed? So maybe you’re one of our patients motivated by bad breath, or maybe you aim to continue to have fresh breath. Regardless of what will stimulate your next visit to the dentist, The Dental Co. team will support you to achieve your best health outcomes by tailoring your unique oral health program.